I have opened my Patreon. Right now it is free to see. Below is what I posted on my Facebook page about it. I have pretty much secured an artist for the Doxie Diaries. Oh, my sweet summer child you are in for some fun. This will be the lighthearted giggly side of Bound Gods but down and dirty with a lot of very curious, very troublesome, very, very hot Doxies. This will be a Patreon exclusive comic and eventually, a graphic novel will run on the same line. And this will be a comic that YOU the reader get to have fun with. The first few of these comic strips will be free. This is so you can try it out with no commitment. 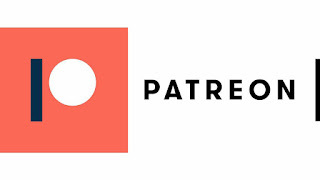 The Patreon page should be up and running by Monday. Content will begin to trickle in over the week. There will be an index of terms and characters. If there is ANY QUESTIONS or terms you want to know about, contact me and ASK. I will add the information to the list. There are some possible (very minor) spoilers in the index. Mostly character history and abilities that you've yet to read about. If I manage to acquire 100 paying patrons by June the Bound Gods graphic novel will start. Why am I charing for this and what will you get? I have commissioned a very, very, VERY gifted artist. He is BEYOND good and somewhere into the realm of supernatural. However, he isn't cheap. Two pages a month will run about 500 dollars. This is NOT including what I will be paying the artist for the Doxie Diaries. All content will be adult, and the plan is for steamy to napalm. I mean if you've read the books you have an idea just how hot things are going to get. Over the course of the year, I will also do giveaways of an assortment of items, from swag to well....you'll just have to wait and see. I want to make patrons a part of this process. Tell me what you'd like to see and I will try to make it happen! More Patreon news and a big thank you.